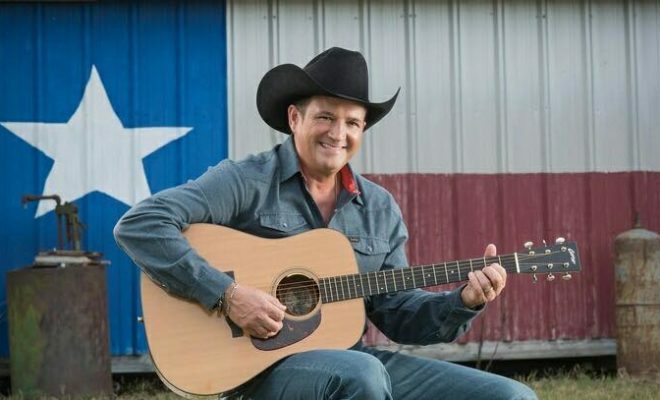 Tracy Byrd will be performing at the 33rd Annual Texas State Forest Festival, according to an announcement made by the Lufkin Chamber of Commerce. The show is scheduled for Friday, September 22 at the Henderson Exposition Center, and gates will be open at 5 p.m.
Graduating from Vidor High School in May 1985, Byrd attended Lamar University, in Beaumont, Texas, and began studying business at Texas State University (at the time, known as Southwest Texas State). During his course of study, he started singing with a local Beaumont band. At the time, one of his friends convinced him to sing “Your Cheatin’ Heart,” a cover of a Hank Williams song, at a small recording studio. So impressed was the owner of the studio that he entered Byrd into a local talent contest. And following that, Byrd signed with MCA Records in 1992. Shared on the TracyByrdVEVO YouTube Channel, this song features just one of a number of great hits that Byrd has done in country music. His latest release in 2016 was entitled “All American Texan” and was his first album in a decade, recorded 100 percent in Tyler, Texas. The announcement that he would be performing at the 33rd Annual Texas State Forest Festival has been met with great anticipation. The show will begin at 8:30 p.m. and advanced tickets can be purchased at the link provided here or on the Lufkin Chamber of Commerce’s website. Ticket prices are $12 in advance or $16 at the gate, and the show is said to be loaded with his hits!